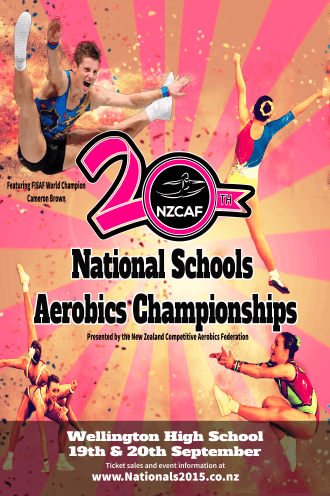 The 2015 NZCAF National Schools Aerobics and Hip Hop Championships will see over 300 competitors from around the country compete in Wellington for National titles and prizes. Spread over two days the National Championships will see 130 routines take to the stage at the Wellington High School Riley Centre. Competitors, teams and crews have had to qualify at regional events across the country, with the best being selected to attend. The New Zealand Competitive Aerobics Federation (NZCAF) is a non-profit organisation facilitating the National Schools Aerobics & Hip Hop Competition series. This year is our 20th year holding a National Championships - making it an extra special milestone and high quality event.